As the Brigham City Mercantile and Manufacturing Association, known as the Co-op, gradually closed its business and manufacturing operations, they were sold to private owners, often to individuals who had originally been in the business, or to those who had been supervisors or employed within departments. Some businesses were transitory, lasting only a few years, while others formed in this period lasted more than a century, and contributed not only to the city’s economy but also to its history. Brigham City Mercantile and Manufacturing Association (the Co-op) had sold off most of its manufacturing operations, but still had its general store, with six to ten employees. The store was located in the Social Hall at Forest Street and First West until the grand opening of the new three-story brick building on the corner of Main Street and Forest Street on May 25, 1891. At this time, A. E. Snow is listed as superintendent. Box Elder Stock and Mercantile Company, known as “The Hardware”, was managed by A. H. Snow. Boothe and Peirce Store, located just south of the Court House. The Bank of Brigham City, O.G. Snow, president, and John D. Peters as cashier. 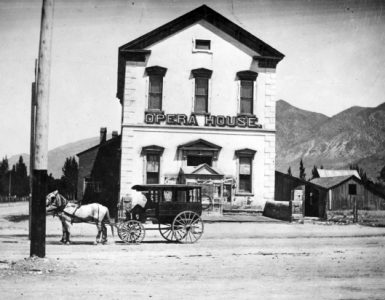 Brigham City Music Company, R. L. Fishburn, proprietor. Utah Loan and Trust Company, with R. H. Jones as manager. McMaster and Forsgren, carpenters and building contracting firm. Implements and Hardware, N.C. Mortensen. Central Meat Market, J. F. Erdman. City Bakery, Peter J. Koford, also ice cream and summer drinks. Harness maker, H. E. Bowring, Forest Street. Furniture, J. C. Nielson and Company. Ice cream parlor, A. J. Munns, Main Street. Loveland’s livery stable, Forest Street, purchased by W. H. Glover in 1896. Tailor, H.C.Christensen (or Christiansen), employed six to ten workmen. Anderson & Company “Cheap Store”, J. Anderson, proprieter. Wilson’s Saloon, R. K. Wilson, proprietor. Workingmen’s Co-op, boots and shoes, J. C. Nielson, N. Peterson and other owners. Mrs. Ann Boden, candy, West Forest. Groceries and Dry Goods, E. A. Box, proprietor. Groceries and Dry Goods, George Gidney. William Horsley and Sons, produce and merchandise. Blacksmith shops, Co-op, Joseph Packer and H. Smith. Physician and Surgeon, C. H. Davidson. Charley Chong, Idaho Chinese Doctor. Attorneys, R. H. Jones and B. H. Jones. Box Elder Flour Mill Company. Some of the more stable of these businesses were owned and/or operated by current and future public and business leaders, who also erected downtown buildings which are still in use. 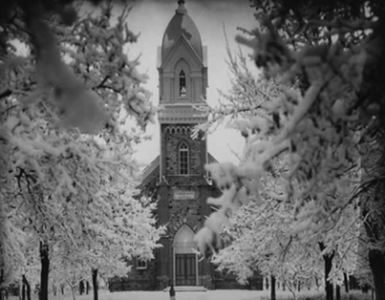 The Brigham City History Project is an initiative of the Brigham City Museum of Art & History to make local history more accessible. Volume 1 of the book will be published soon. That text, plus additional resources, are available here.